A police officer in Cumberland County, South Jersey was treated for minor injuries after someone opened fire on his patrol car on Saturday evening. It happened on the 300 block of East Vine Street in Millville. A round hit both the driver side and passenger side front windows shattering both. The officer was not hit struck by gunfire but was treated for lacerations from the glass. 12 casings were recovered from the scene. Investigators do not think the officer was the target. No arrests have been made. 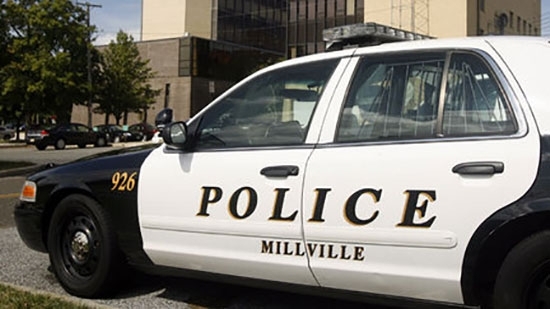 Anyone with information is asked to contact the Millville Police 856-825-7010. One person is dead and two were injured after a car crash at Delaware Park Racetrack and Casino Saturday. The head-on crash between two vehicles happened just before 5 p.m. on Delaware Park Boulevard. Investigators are still trying to piece together what happened. One person died and two others were taken to Christiana Hospital with injuries. A man was shot to death on Saturday night in Port Richmond. It happened around 9 p.m. on the 3000 block of Agate Street. The 29-year-old man was shot multiple times in the chest and torso. He was rushed to Temple University Hospital where he was pronounced dead. Philadelphia police are looking for two men who were seen fleeing the scene.